The Harold Pinter Theatre opening on 15 October 1881, under its original name of The Royal Comedy Theatre. It’s early years were host to operatic productions Falka and Erminie, before presenting revue shows throughout World War 1. 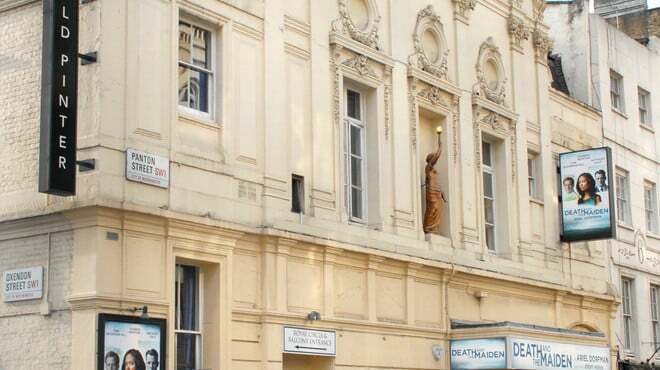 The formation of The new Watergate Club in 1956 allowed plays previously banned under the Theatres Act 1843 to be performed, which allowed the theatre to host the UK premieres of Tea and Symphony, A View From the Bridge, and Cat On A Hot Tin Roof. The censorship was loosened in the late 50’s and the law was finally revoked in 1968. This allowed the theatre to produce successful shows such as Savages in 1973 and the West End debut of The Rocky Horror Show in 1979. The theatre’s two biggest successes happened at the end of the 20th Century. 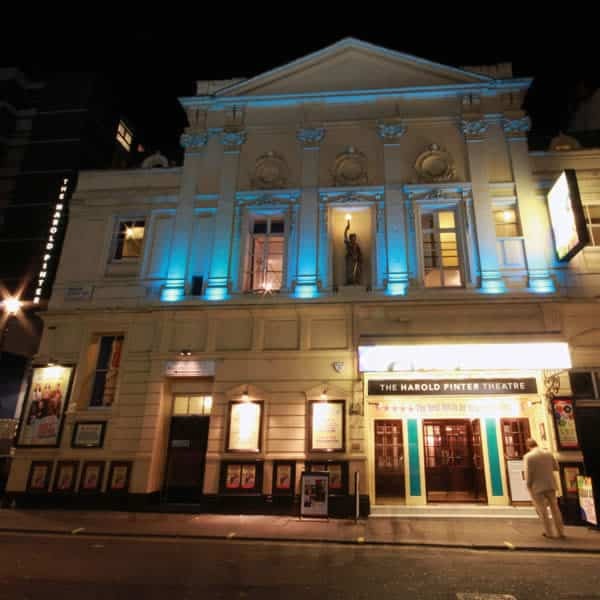 A sell out eight-week run of Little Malcolm and his Struggle Against the Eunuchs broke box office records, and was quickly followed up in 2000 buy an extremely well received production of The Caretaker starring Michael Gambon. Recent years have seen productions as diverse as Donkey’s Years (2006), Boeing-Boeing (2007-8, then transferred to Broadway for a Tony-award winning run) , and Sunset Boulevard (2008-9). 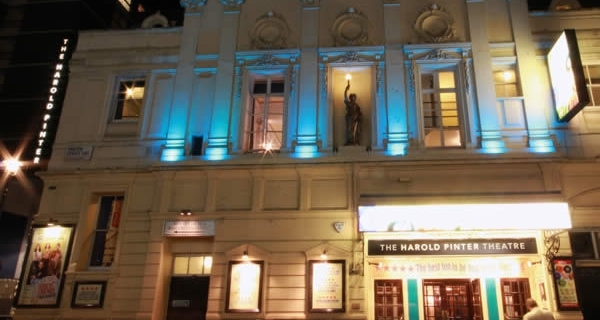 On September 7 2011, it was announced that the theatre would be renamed the Harold Pinter Theatre, in tribute to the writer’s influential 50-year career. Pinter plays produced at the theatre have included The Homecoming, The Caretaker, The Collection and the Lover. Pinter himself directed a 2005 production of The Old Masters by Simon Gray. The new name came into effect on October 14. Royal Retiring Room toilet, located 6 steps down from foyer level for patrons who are able to manage some steps. Strada restaurant opposite the front of the theatre on Panton Street offers the use of their accessible toilet. A member of theatre staff would be available to accompany patrons to and from the restaurant. Access dogs are allowed in all parts of the theatre.